Jeff and his team are outstanding! Jeff has received from grateful clients. Please contact Jeff if you have an immigration issue you need help with for yourself or someone you know. Click Here to Leave Your Own Testimonial For Jeff Goldman Law. I liked about Jeff being responsive to our emails, SMS, and calls. He really put our minds at ease. Successfully received K1 and Greencard! You really helped me, you are the best lawyer ever. One of the things that stood out… was his confidence. Provided good recommendations. We didn't have any requests for evidence and the process for both the K1 and Adjustment of Status (Greencard). He walked my now wife and I through all of the steps and processes as well as had us put together a very thorough packet demonstrating our relationship. For the Greencard interview, he was present and helped clarify questions we had during the interview. There was a little confusion around whether or not we needed a second medical exam or not, however this was due to rules changing recently. It worked out in the end and we had success!!!! We would definitely utilize him in a few years if my wife decides to go for citizenship. Thanks for your help Jeff! Well well well! I’ve came across a lot of lawyers in my life due to my situation of being an immigrant in the US, when I started approaching different lawyers and discussed my case none of them showed me a positive sign. I had almost lost hope of getting my process done but than I came across this brilliant lawyer who I could tell was really a professional. Jeff looked into my case and started showing me light by telling me somethings I wasn’t doing earlier. They worked out pretty well, I started seeing progress in my case and I got sure that I am not being played anymore. He was always available for me and treated me like one of his own, the ways he fought my case was just incredible. I am glad that I came across Jeff and we made this happen! Cheers mate! Jeff will make you feel at ease from the moment you step into his office. Our situation had us so worried and so unsure what our next step should be. But after consulting with Mr Goldman our stress level went way down. His experience with handling immigration troubles and the relaxed manner in which he explains things are truly comforting. He really put our minds at ease. Thank you! We've hired Jeff for processing our green card application through marriage. He helped us throughout the process and he proved quite knowledgeable about this domain. We've received the physical green card in 8.5 months from the filing date, with no set backs or RFEs. I liked about Jeff being responsive to our emails, SMS, and calls. We had a lot of questions at some points related to travel ban and work authorization, and he's always took the time to have a long conversation with us over the phone and help give us clarity on our situation. My husband and I meet several Imigration lawyers before we decided to hire Mr. Goldman. One of the things that stood out about Mr. Goldman over the other attorneys we meet was his confidence. After our first meeting I felt reassured about moving through the Imigration process. And I was right he helped us every step, his staff was very clear on what I needed to gather. And the end result my husband obtained his permanent green card and it took about nine months. I would recommend hiring Mr. Goldman if your going through the Imigration process. Was a wonderful experience working with mr goldman. He was obviously very knowledgeable and experienced in working in immigration law. He answered all of our questions . For me, the assurance and peace of mind of having everything handled by an expert was well worth it. jeffrey goldman is a very personable guy who has years of experience and was a source of personal encouragement and wisdom. He seemed to be genuinely concerned about us and I appreciated his high standards of ethical integrity. Would highly recommend him! Jeff is great and reliable attorney.He communicates well with clients and gives feed back. He was hired in immigration case, and did great. The case was resolved in only couple of months. He does not give fake hopes and promises and is very honest with what he can do about the case. Jeff provided excellent service when helping us with our adjustment of status. Jeff is very thorough and professional. He completed everything in a very timely manner. He prepared us perfectly for the interview and found us a very affordable interpreter. Overall we are very pleased with his services and would definitely recommend him. Jeff is a knowledgeable and responsible attorney, who handled all aspects of my immigration case and acted quickly to get my case resolved. He kept me informed as to what was happening and what was going to happen about my immigration interview. He and his team were really friendly and patient when I had questions even though I am not native speaker. Due to my personal reason, I have difficulty going to his Seattle office, instead he came to Tacoma office every time. He is very straightforward and trustworthy. I would like to recommend him to anyone who needs help in immigration case! I recommend this lawyer for the needs of immigration related issues. He helped me a lot to sort my case. He has done a great job on my case. I am a father of two who holds a green card with a Federal felony conviction. I was fortunate enough to not get deported but with all these immigration laws changing, I did not wanna take any chances of being deported and leave my family behind. So I decided to go for the citizenship. Jeff walked me thru on how we can approach and win the case. I felt very confident and decided to hire him. Everything went smooth and I am now a U.S. citizen. I can say that it was one of my best choices in my life. Definitely someone you wanna have in your side !!! Thanks again, Jeff. 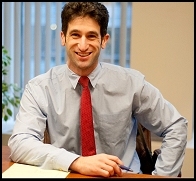 Mr. Goldman is an immigration lawyer I know with deep knowledge about immigration law and practical experience. He is also a very nice lawyer and willing to help me and explain the questions I have very clearly before I hired him. After I talked with him I knew he is the lawyer I’m looking for. I highly recommend him to people who need help regarding immigration issues. I’m the type of person who only takes the time write an online review when my level of satisfaction is in one of the two extremes. Good or bad. There is no gray area with Jeff, he is clearly contrasted as a rockstar in my book. I immediately got the impression that he was a honest and hard-working individual, who clearly enjoys what he does for a living. He got to know me on a personal level, and treated me as a friend during my “crisis”. He worked hard to get the results I wanted, and even though the odds were stacked against us, was successful in the end. During the whole ordeal he was very patient with me as I was “going through it” He is very good at what he does, and is clearly knowledgeable in a wide spectrum of law. In the event that I need an attorney in the future, I will certainly trust Jeff to take good care of me, or, if he is unable to, point me in the direction of someone who can. Highly recommended. Thanks Jeff! The first impression I had of Jeff was that he was very intelligent and knowledgeable. I immediately felt at ease discussing my case with him. I like that he is easily accessible (unlike many other lawyers he gives you his cell number) and he quickly responds to emails and texts. He was kind and considerate to my family members too. He was able to successfully get me out on bond. I recommend him to anyone because he is experienced and dedicated to what he does. He explained things to me clearly and is definitely well-informed. I had a challenging green card case and it was a success. If I ever needed assistance again Jeff would be the first lawyer I would call. I had the pleasure of having Jeff represent me in some unfortunate legal matters and from the start he was on my side. He speaks in terms you can understand and walks you through the procedures of the legal system. Its a scary ordeal to most(me being one of them), but he is genuine and makes it easy. I cannot say enough! Professional and Answers all your questions promptly! Jeff helped me navigate immigration issues that I was having with my mother. He answered all my questions promptly, reviewed my documents and gave me great advice on how to navigate the process. Jeff assisted us with our permanent resident application to adjust visa status. Throughout the case he gave us expert advice and helped us successfully complete the process. During the case, when additional research was necessary to hire translation services, interpreters, or anything else, he found the right people while also keeping in mind our expenses. He even setup practice interview sessions to completely prepare us for our interviews. I recommend him to others. Jeffrey was able to defend my husband in the best way possible. We were able to achieve most of our goals. Jeffrey gave me adequate time to communicate with him and he listened to what I had to say. I would recommend him to anyone who needs an upstanding person in their corner. I hope that I don’t need his services in the future but if I do….he is the one! I hired Jeffrey Goldman. He is a great attorney. He helped me with an immigration case. He was very Professional and very friendly. Thanks to him now i have my authorization work permit. I sincerely reccomend him. He always answer your questions no matter what time it is. The same day that I hired Jeffrey to represent my husband he went to see him where immigration was holding him in Tacoma. Jeff immediately gave us our options, he was able to answer all our questions, prior to every court he would go and meet with my husband to explain to him what he anticipated the outcome of the court would be. Jeff was always available when we needed to talk to him, sometimes I would send him text messages on the weekends or evenings to which he would always respond promptly. Thank you Jeff for all your help! I hope to never go through another situation like this, but if I do or if anyone close to me does I will make sure they go to you!